There is only one dog in The Buy Guide family, and it's Ashlee's dog Mandi. She is a Mini Australian Labradoodle. She has such a sweet temperament and is definitely a pleaser. Everyone loves her. 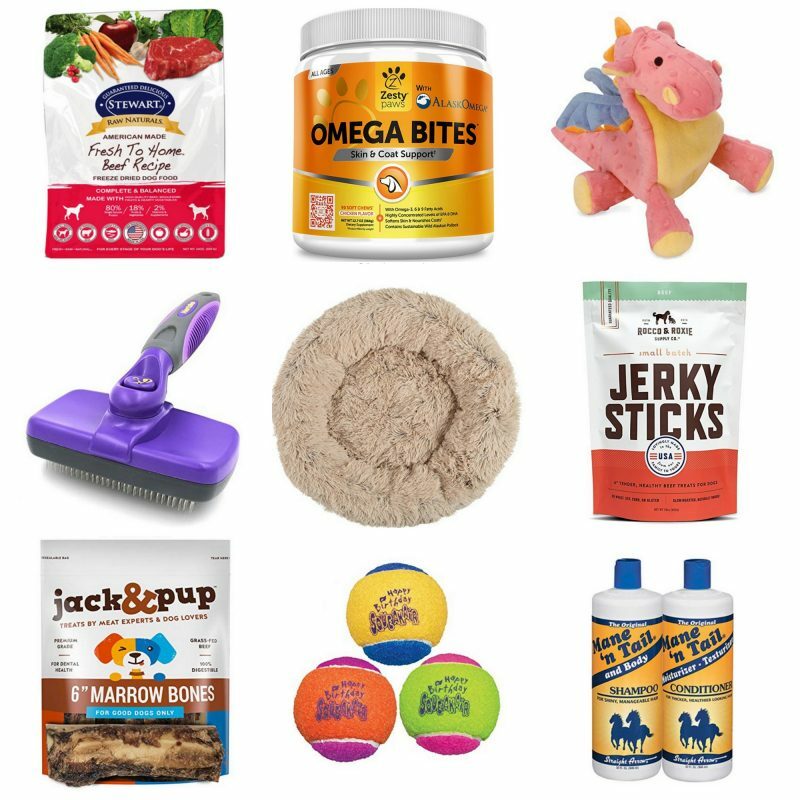 Here is a big roundup of all Mandi's favorite things. Mandi's food: This is the food she loves. We feed her 2x a day. Daily vitamin: I throw one of these in Mandi's food everyday. She loves them. Oral Hygiene chews. Much better than a couple other brands we tried. Treats: Mandi loves & are easy to give her : mini bites, jerky treats. Love this brand of bones. Mandi can stay busy on one of these for a few days. She loves them. I love cheap sets of toys like this one. They end up being only $2 each, so when Mandi chews it to pieces after a week, I'm ok with it. We just give her 2-3 toys at a time. Then we rotate or replace them. The trainer taught us to make sure she has her own toys to chew on and play with so she doesn't use our stuff! I think it's so adorable when she walks around the house with a stuffed animal. I kind of hope she picks a favorite and gets attached like kids do. But, for now, it seems like she rotates through the 3 we have pretty regularly. Mandi sleeps in a crate at night. This is the one we have. This is the brush we use. We brush her a couple times a week as well as any time she is bathed. Luckily, she's kind of a diva and actually LIKES it! ha. This is the shampoo & conditioner we use. Her collar and leash are pretty simple. But they've worked well for us! I love this dog food storage container. It's easy to open and shut, even when you have a scoop of food. Also, I like that it's see through- I like to easily see when our stock is getting low. Cutest container for dog treats. Gotta be cute to be on my counter.